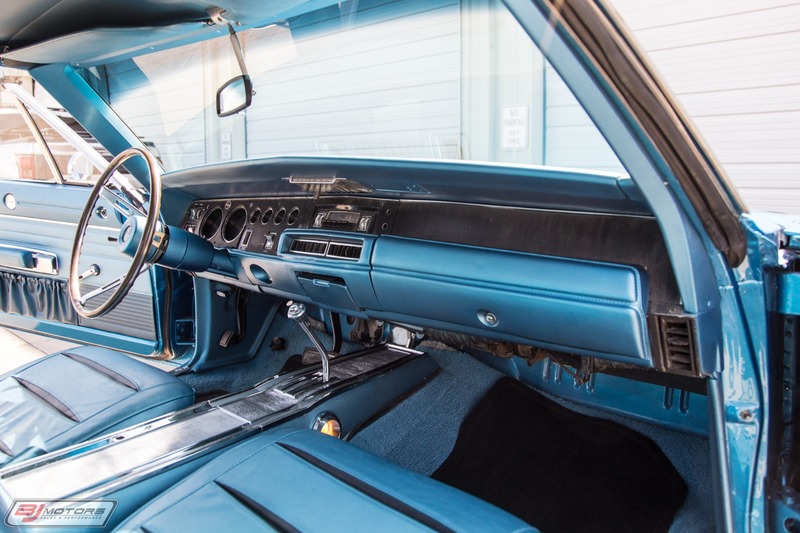 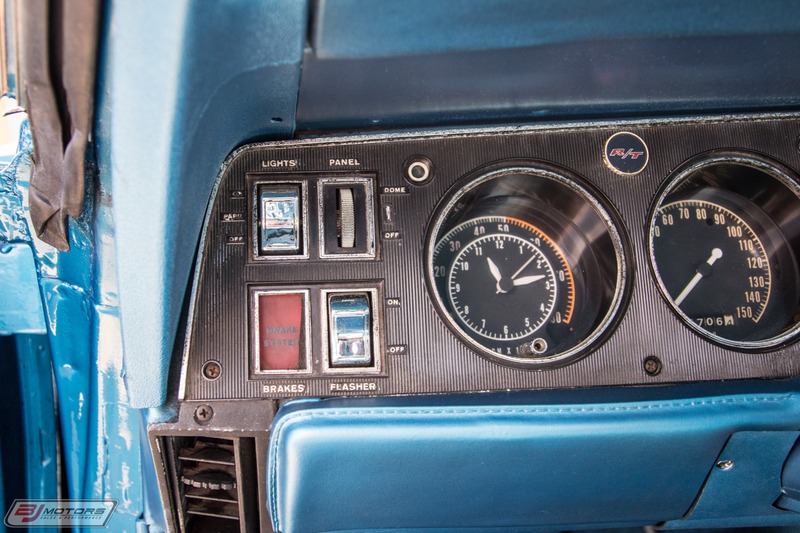 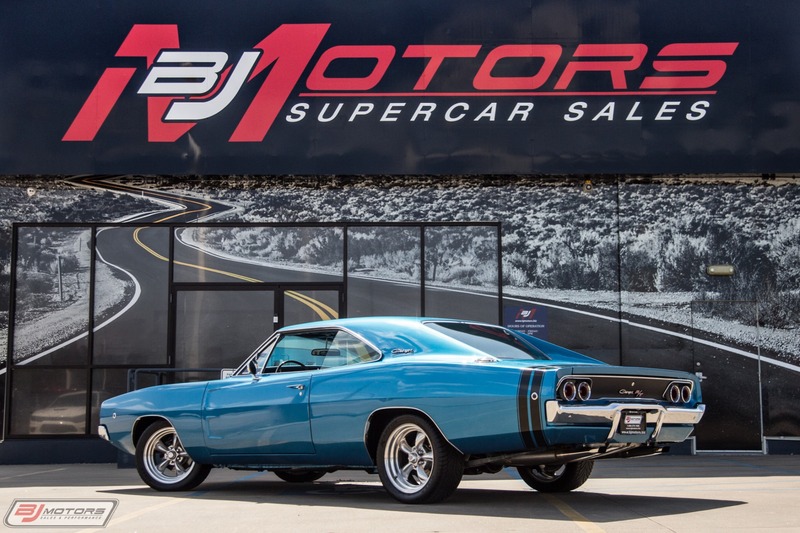 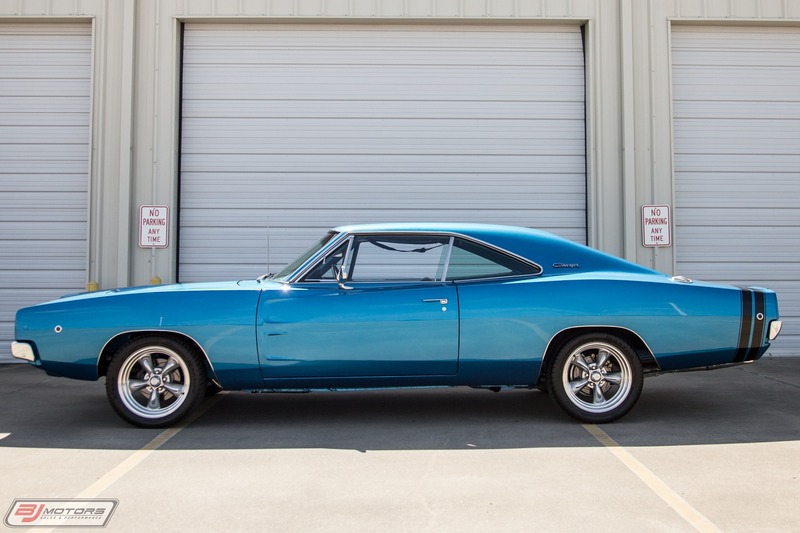 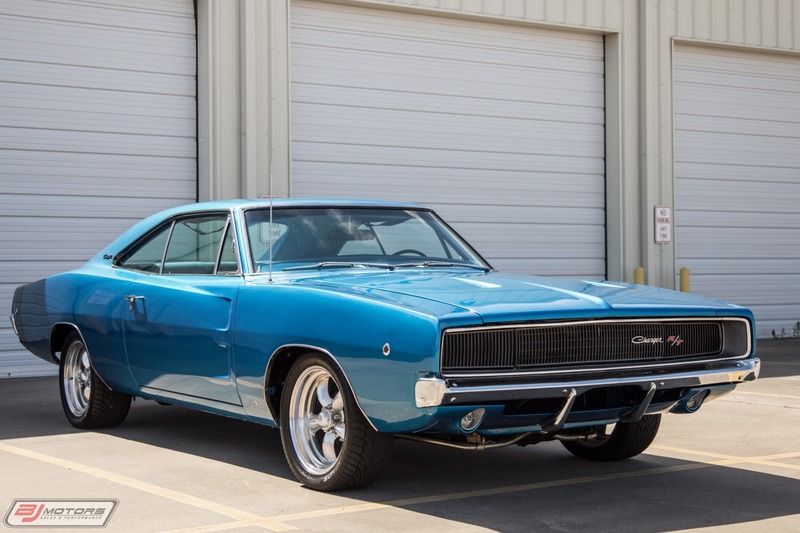 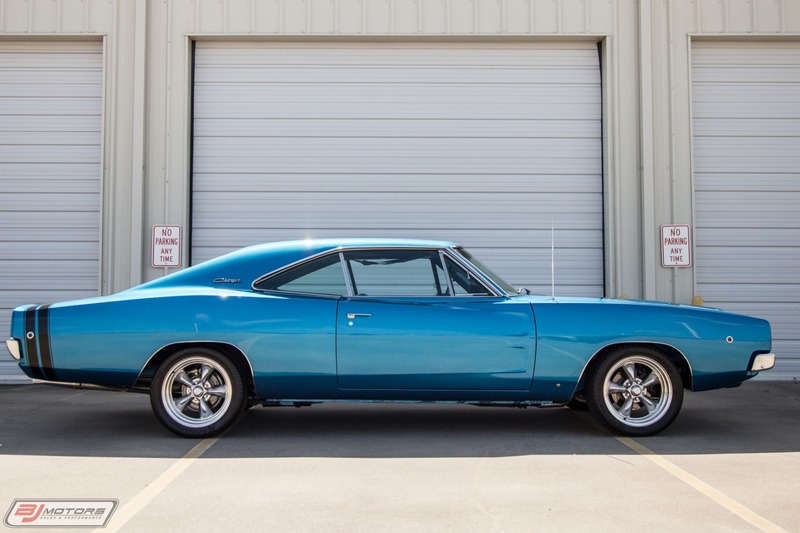 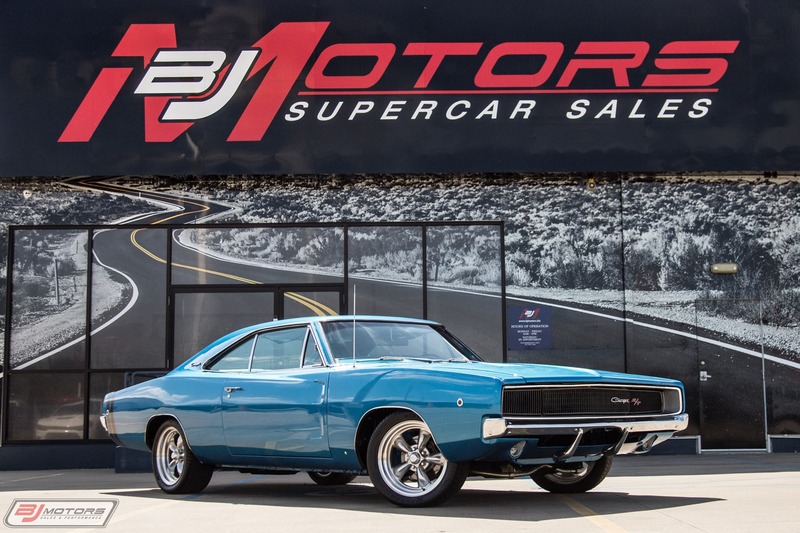 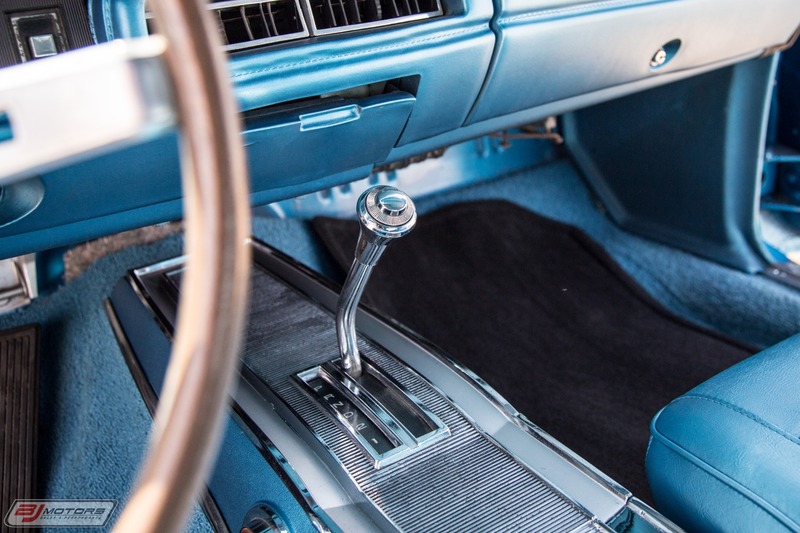 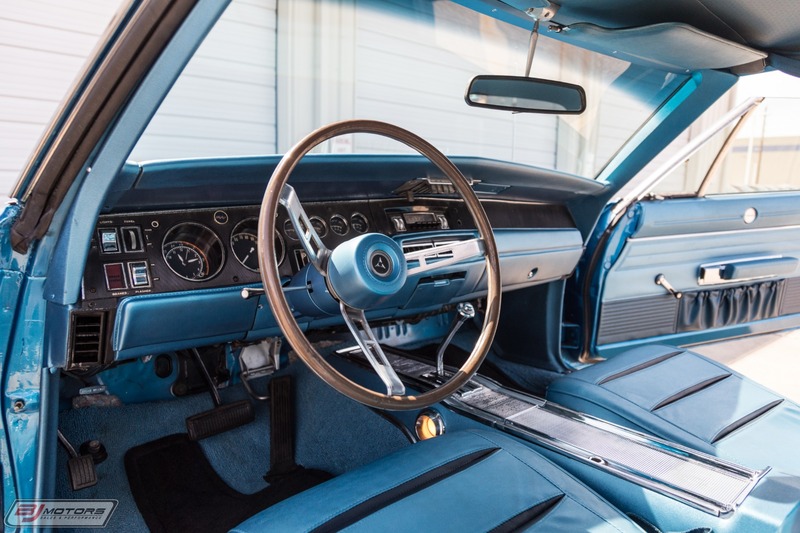 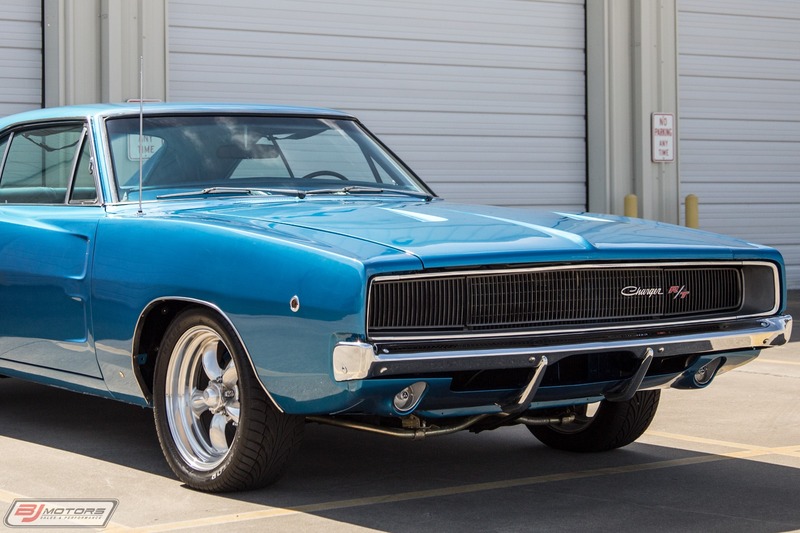 BJ Motors is pleased to offer this beautiful 1968 Dodge Charger R/T in B5 Blue. 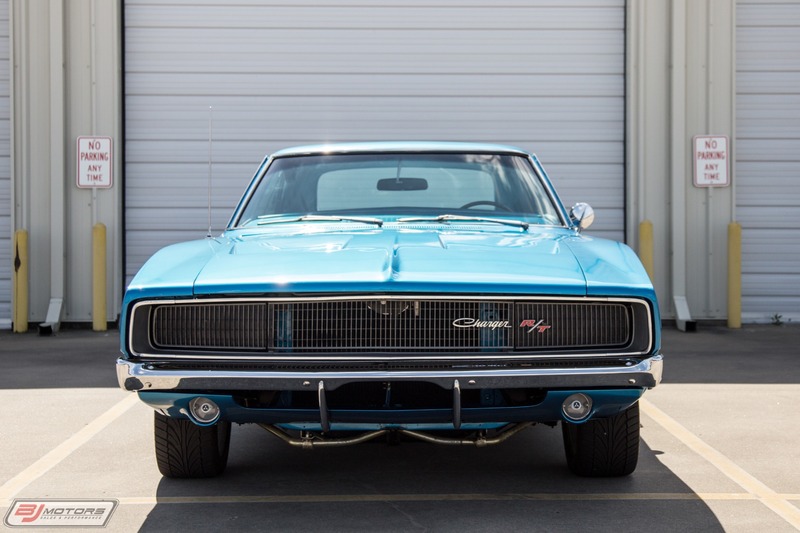 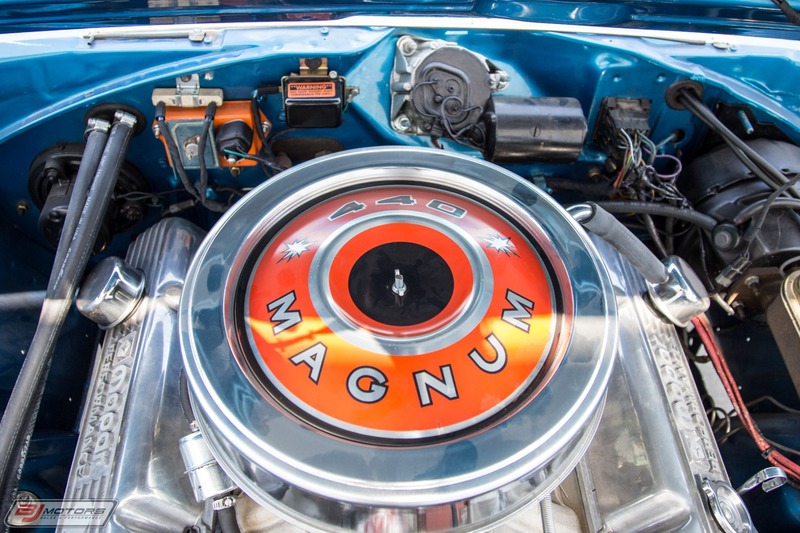 This R/T features the 440 Magnum engine and is a Ucode Car. 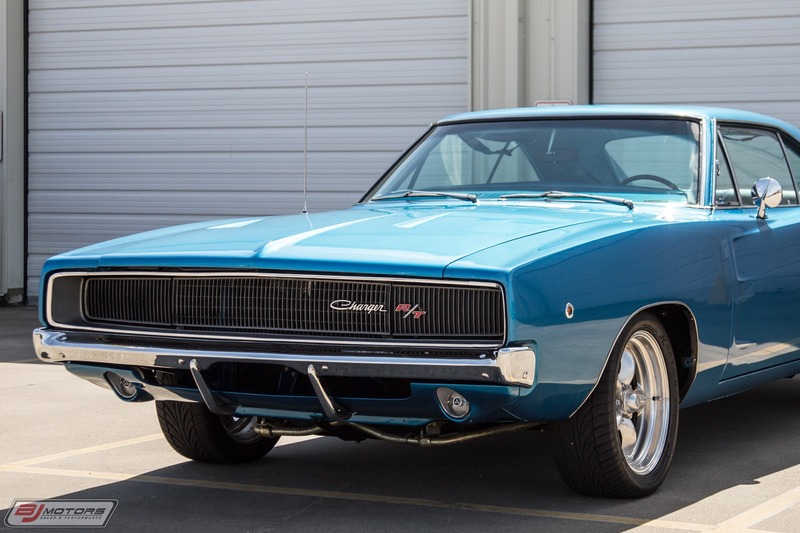 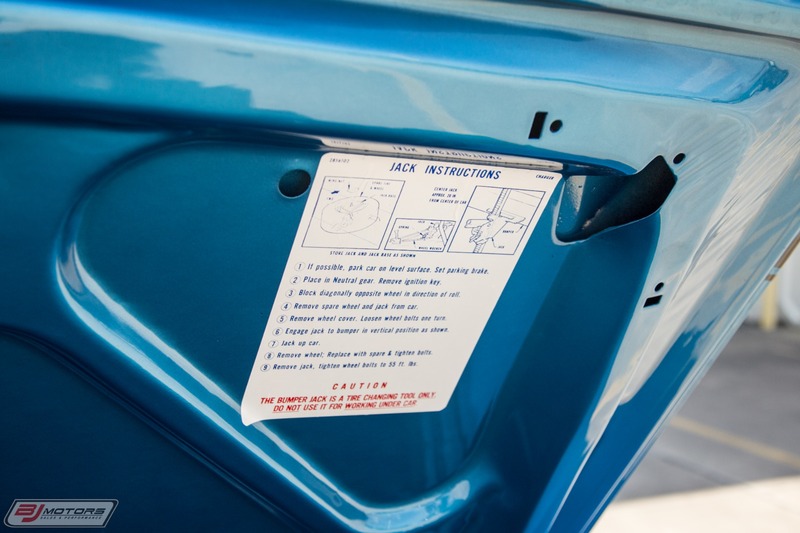 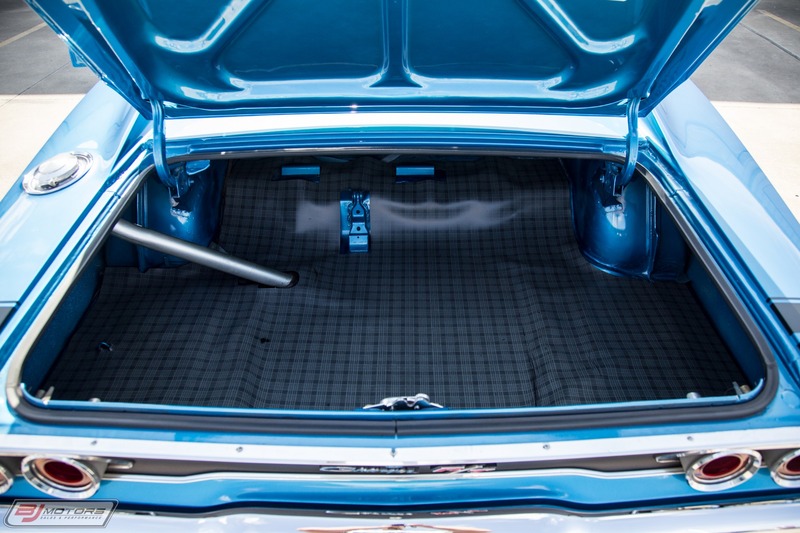 The 1968 model year featured the new Charger Hardtop; a crisp redesign, mostly remembered for the classic chase scene in "Bullitt" and the Orange #01 General Lee car from the popular television comedy "The Dukes of Hazzard". 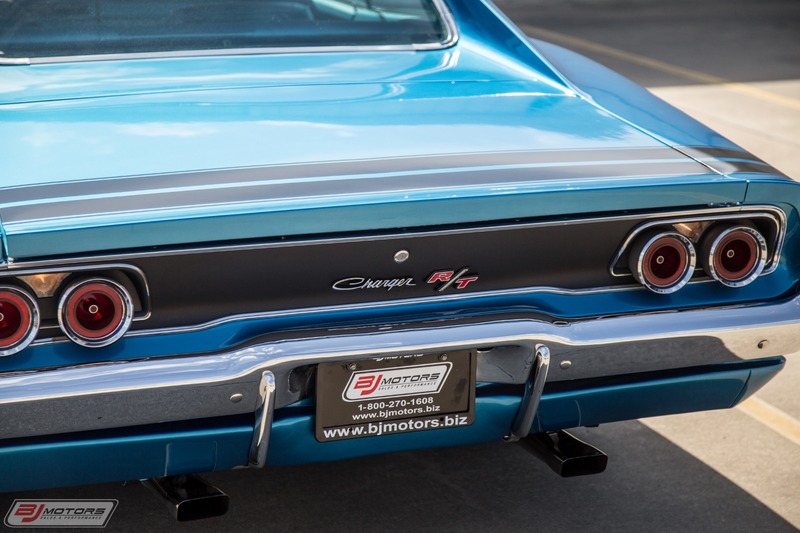 This particular Charger comes with the broadcast sheet and has a numbers-matching motor with a replacement blcok. 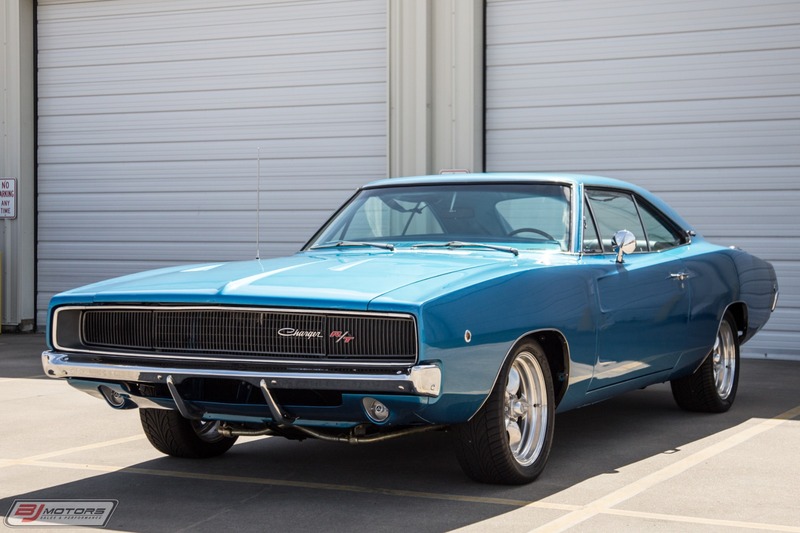 Over $60K was invested into the restoration of this Charger. 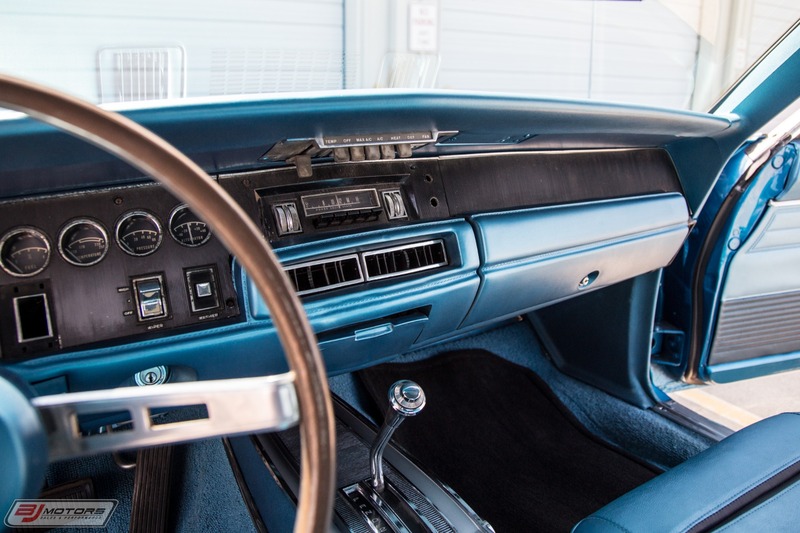 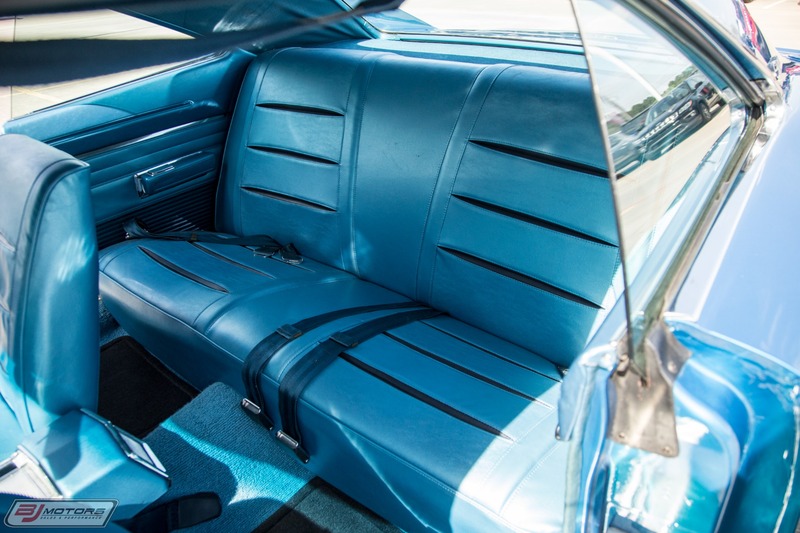 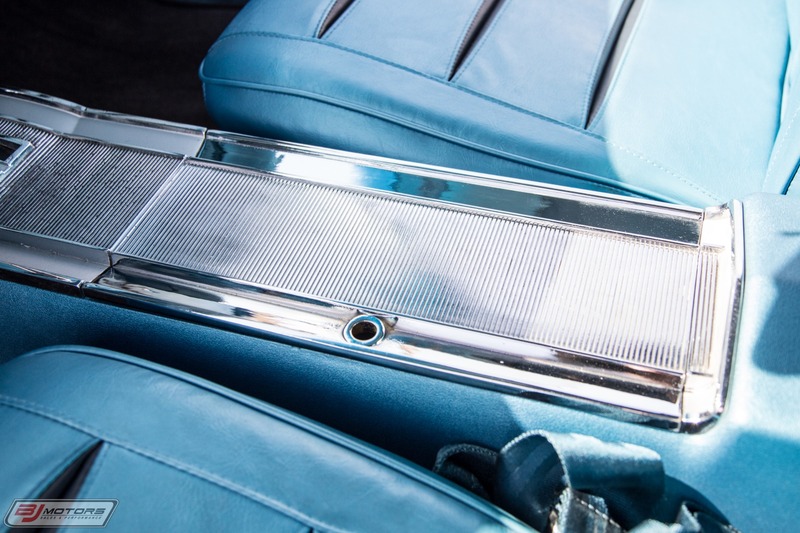 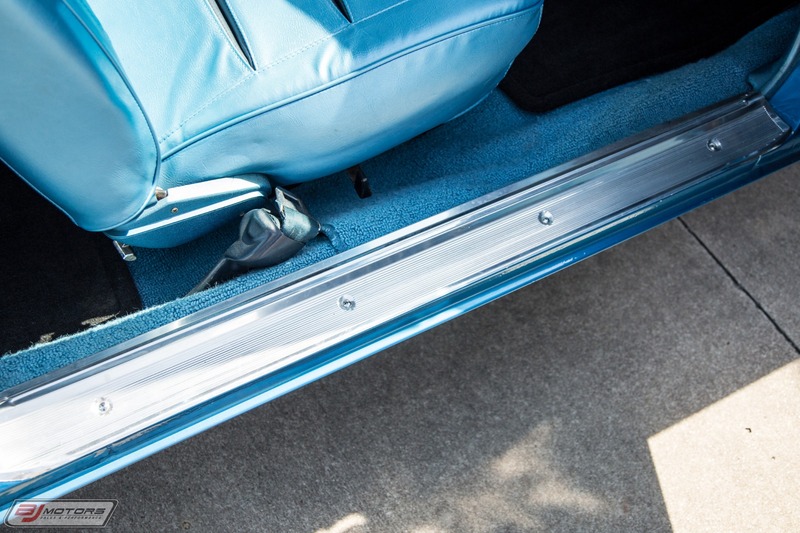 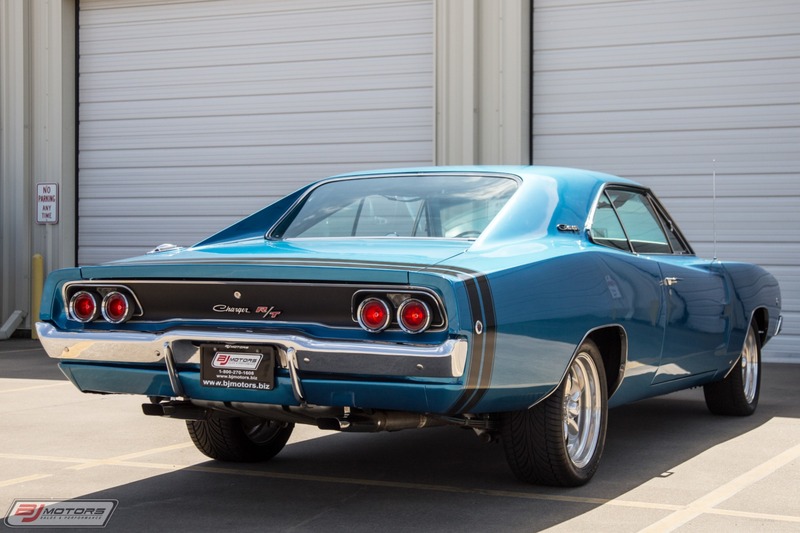 The 68 Dodge Chargers shape was one of the most elegant renditions of the popular coke bottle wasp-waisted design, and featured a slim full-width grille with hidden headlights, flying buttresses at the rear and a tunnel back window reminiscent of GM designs. 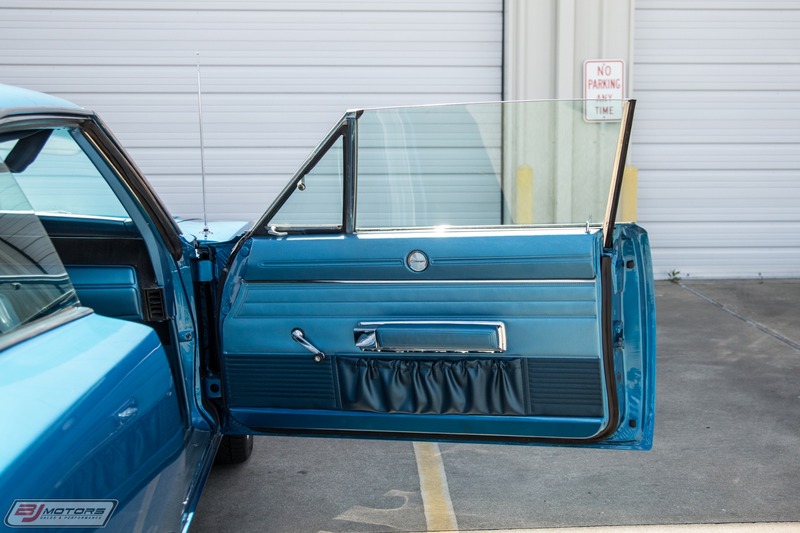 Two round taillights on each side were recessed in a black panel. 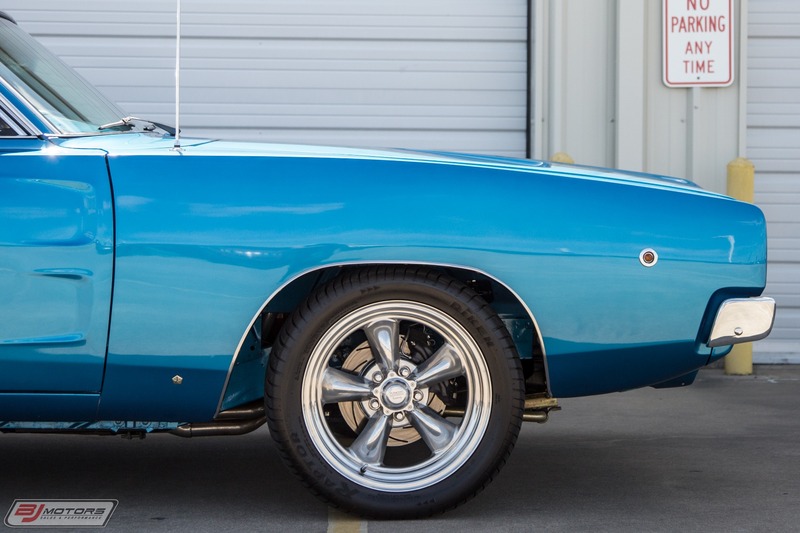 The chassis was again shared with the Coronet, with torsion bars up front and leaf springs in the rear. 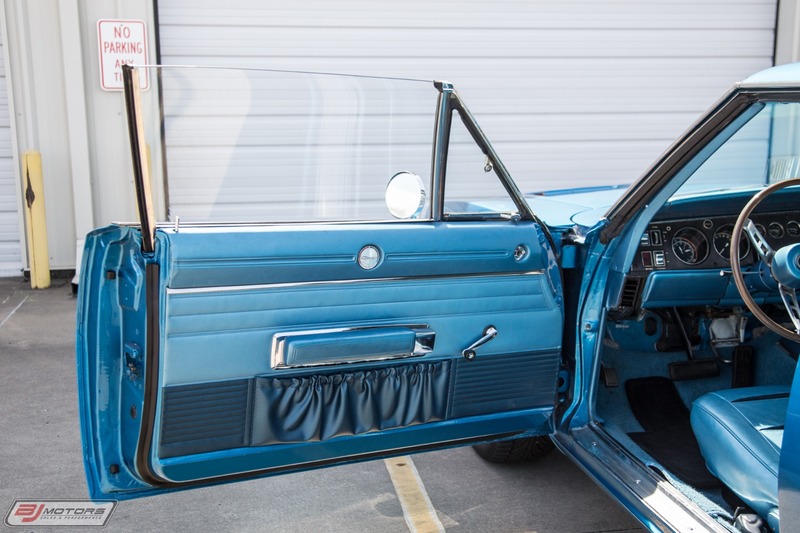 There was very little brightwork, but contrasting vinyl roofs were often fitted and dummy scoops molded at the front of the doors. 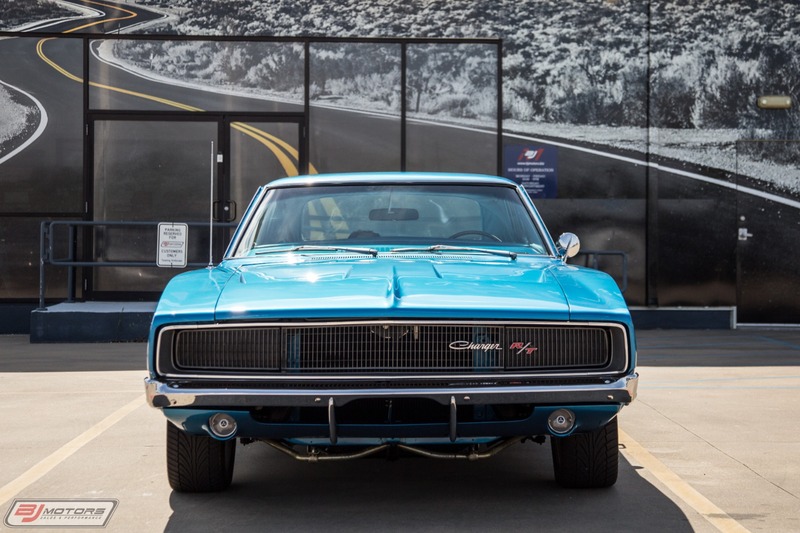 The whole effect was menacing, especially in dark colors like black, and it was exactly the image that muscle car fans wanted to project. 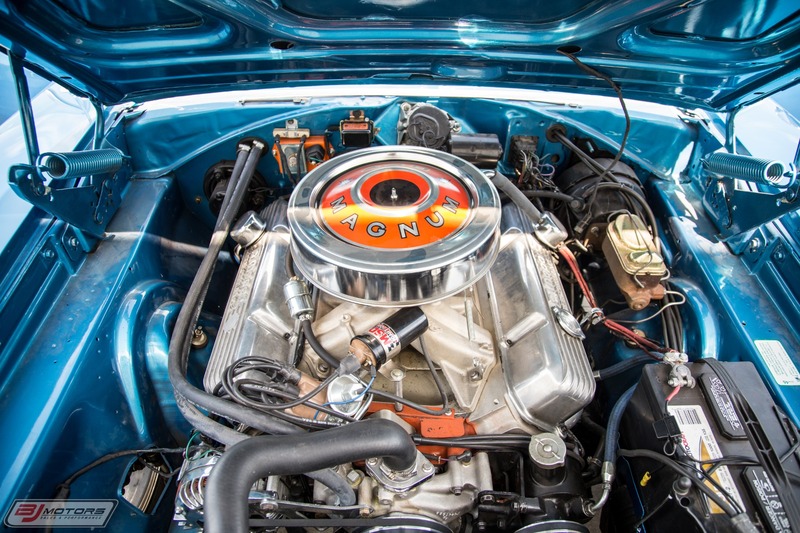 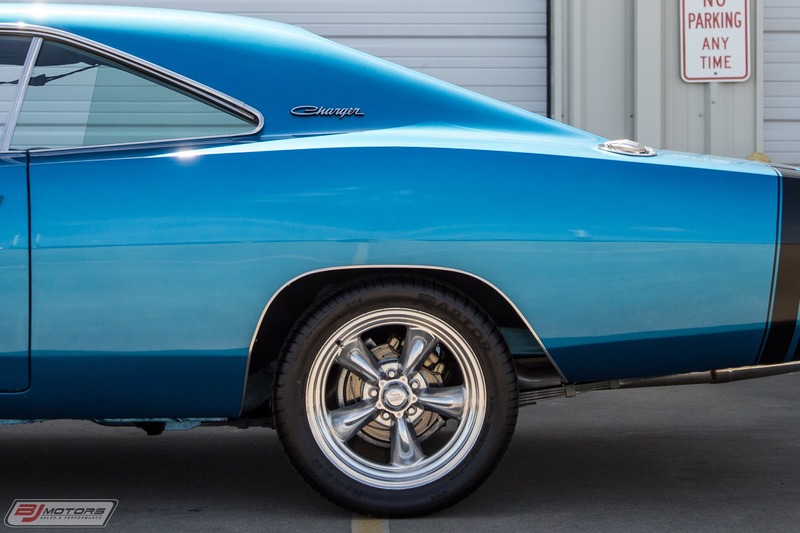 Unlike the related Plymouth Road Runner, only one body style was offered. 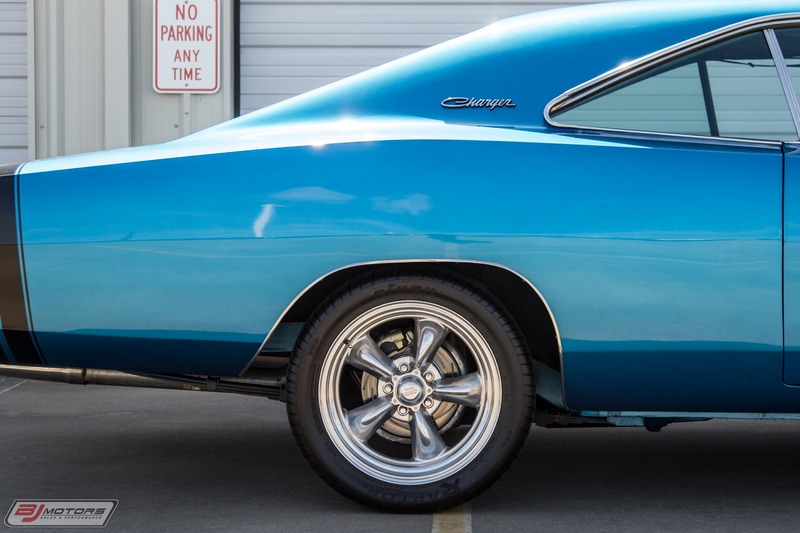 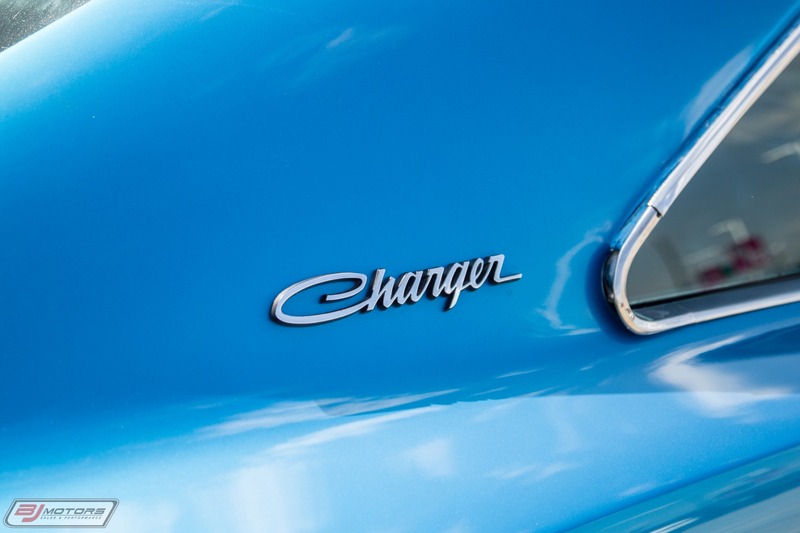 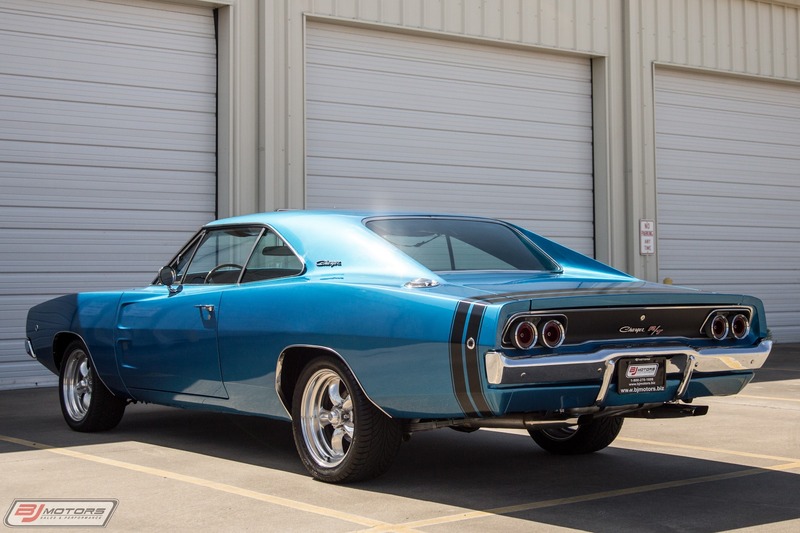 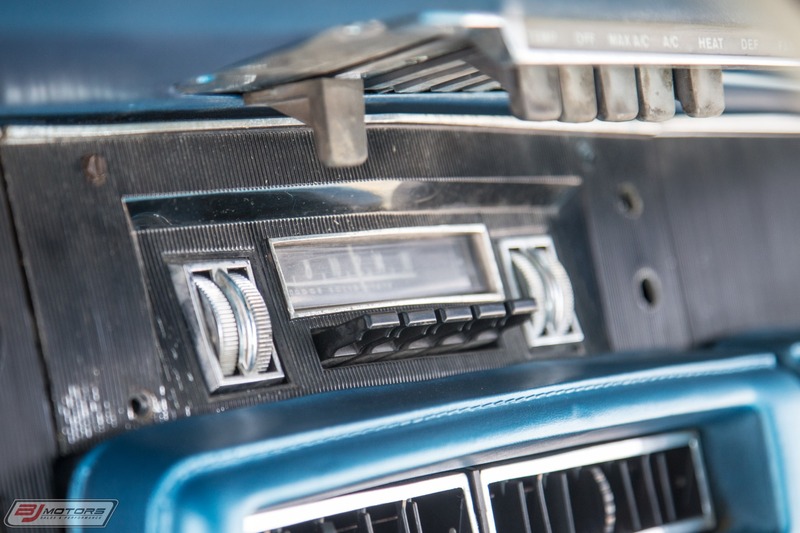 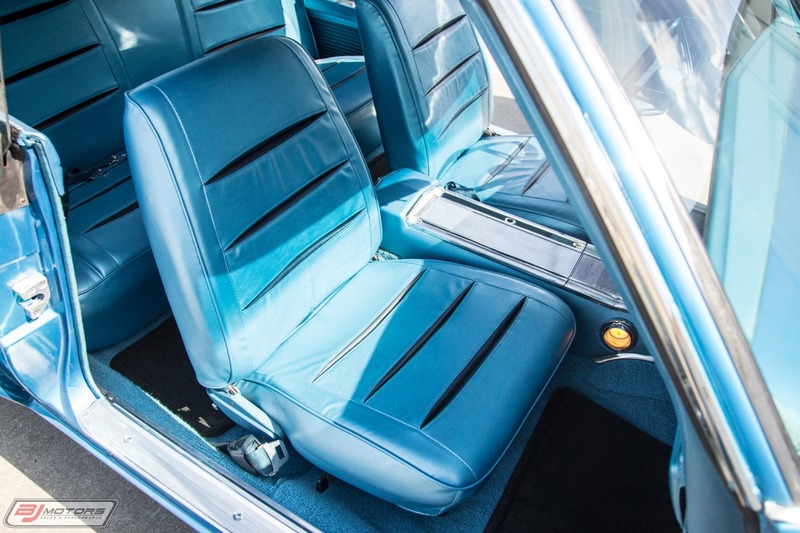 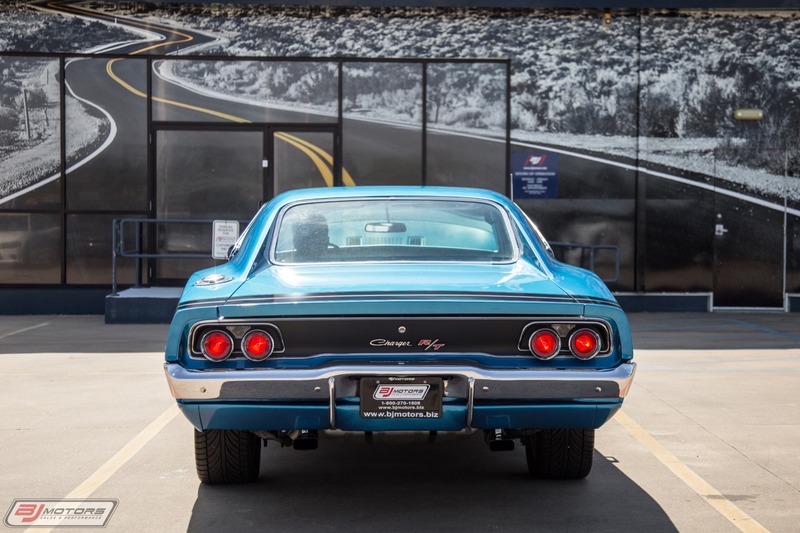 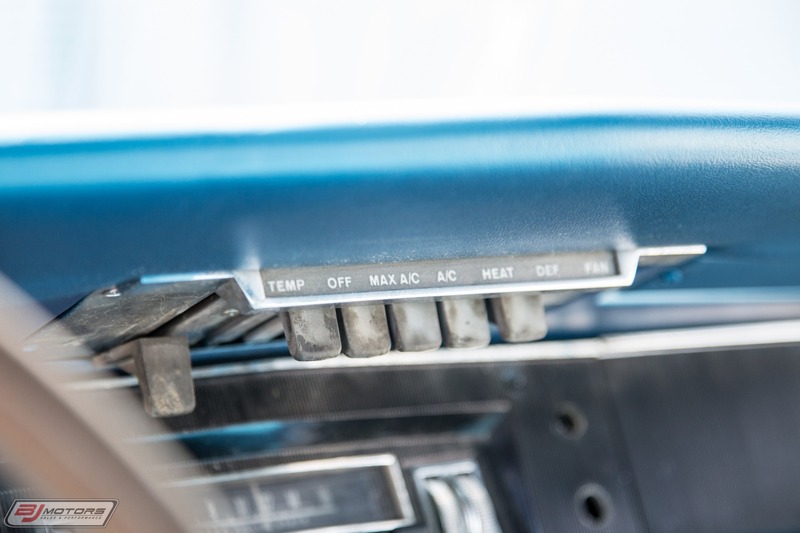 A total of 96,100 Charger and Charger R/Ts were sold a far cry from the lack-luster 15,788 sales recorded by the elephantine fastback the year before. 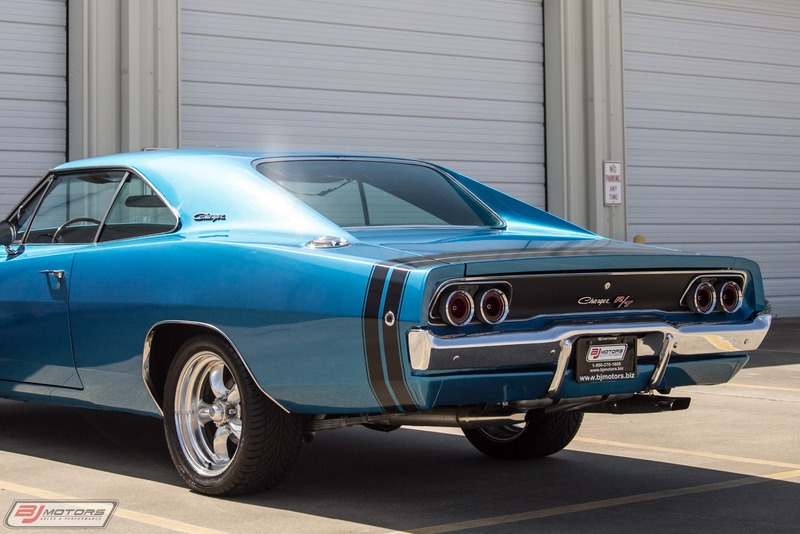 Base price was $3,014 and the upmarket R/T began at $3,480. 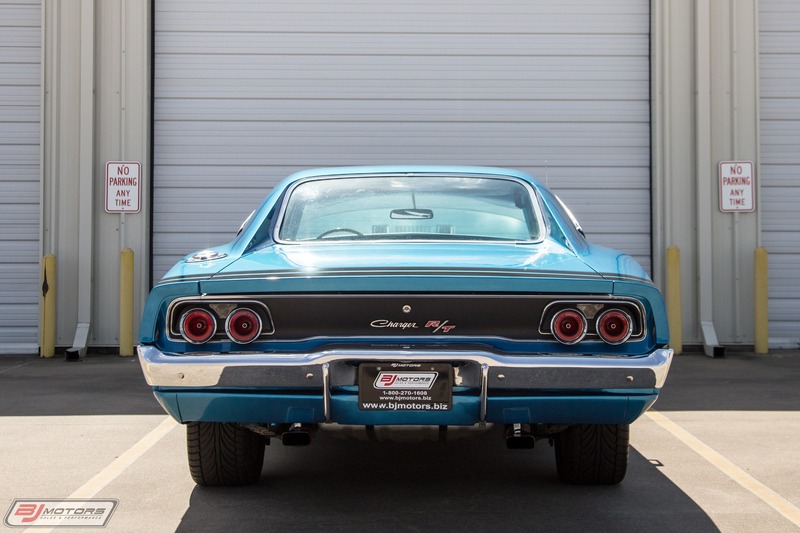 Surprisingly, this svelte Charger was actually heavier than the earlier car. 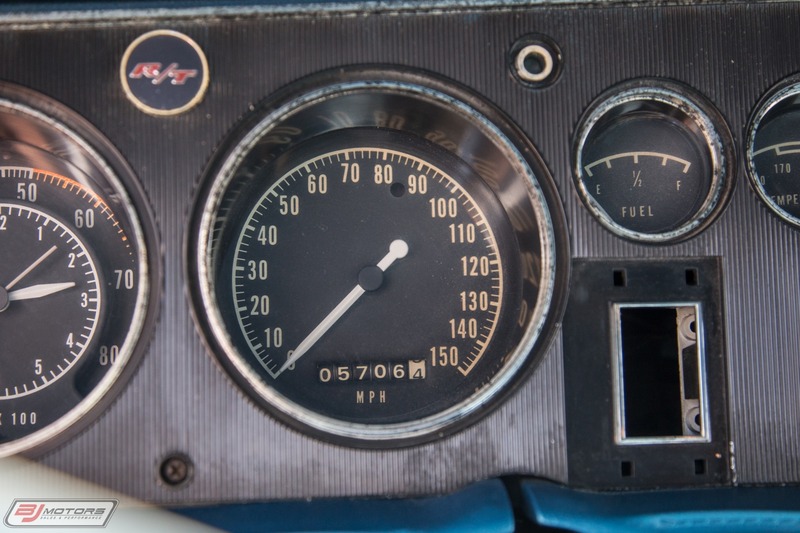 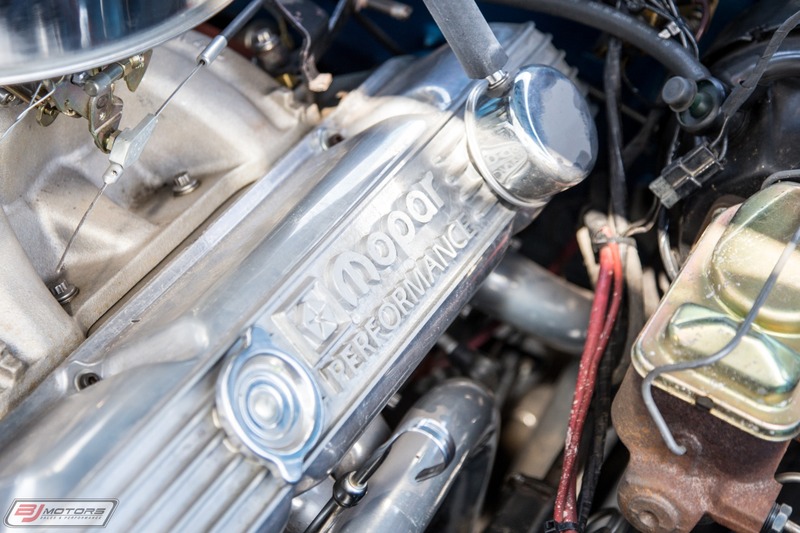 Base engine was the mild-mannered 230 bhp two-barrel 318 cid V-8. 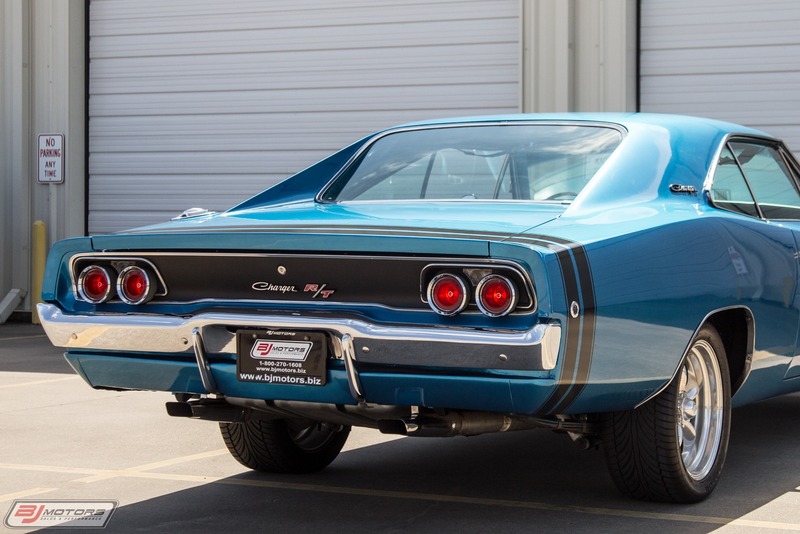 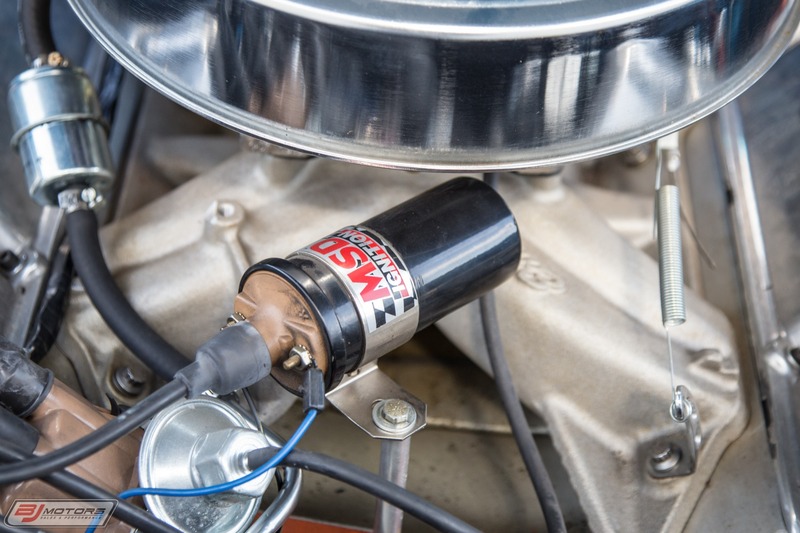 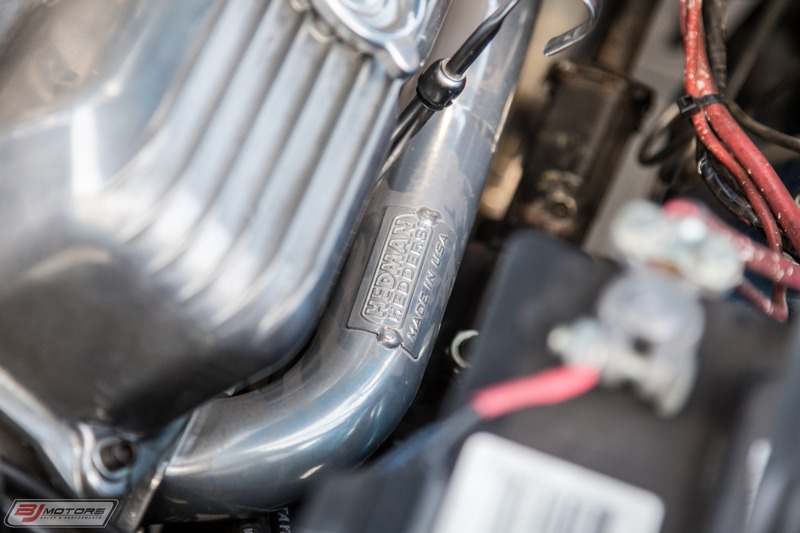 Optional engines included two-barrel 290 bhp 383, four-barrel 383 with 300 bhp, 440 cid Magnum V-8 with 375 bhp, and the 426 cid Street Hemi with 425 bhp. 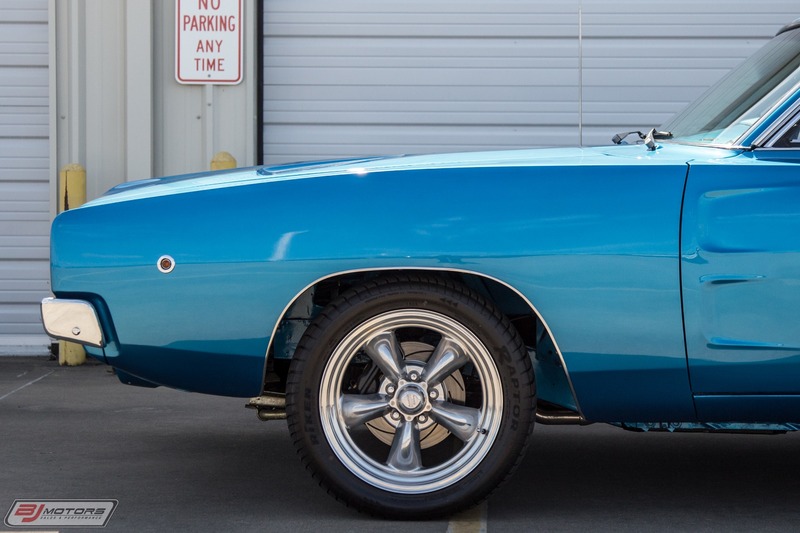 The Hemi attracted only 475 buyers, 211 of whom ordered the 4-speed gearbox. 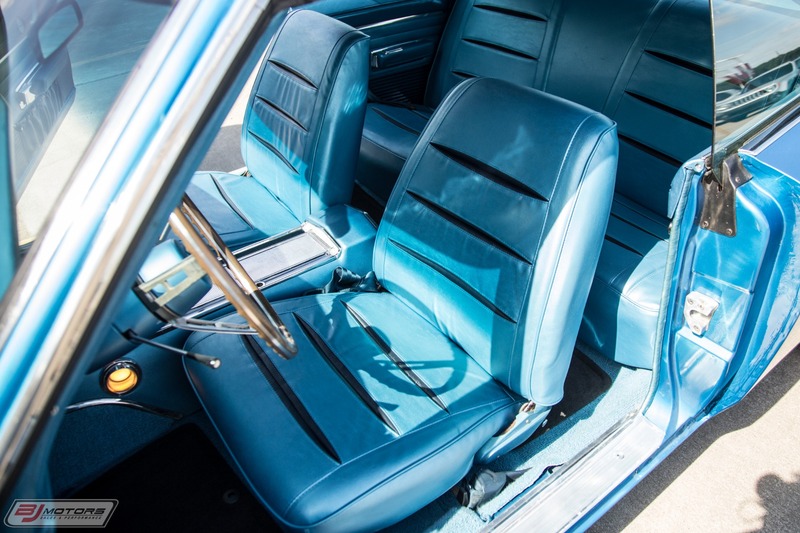 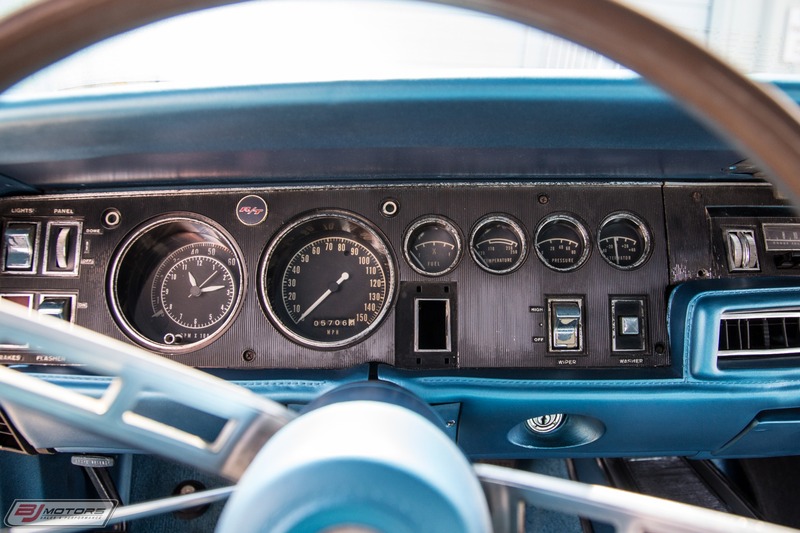 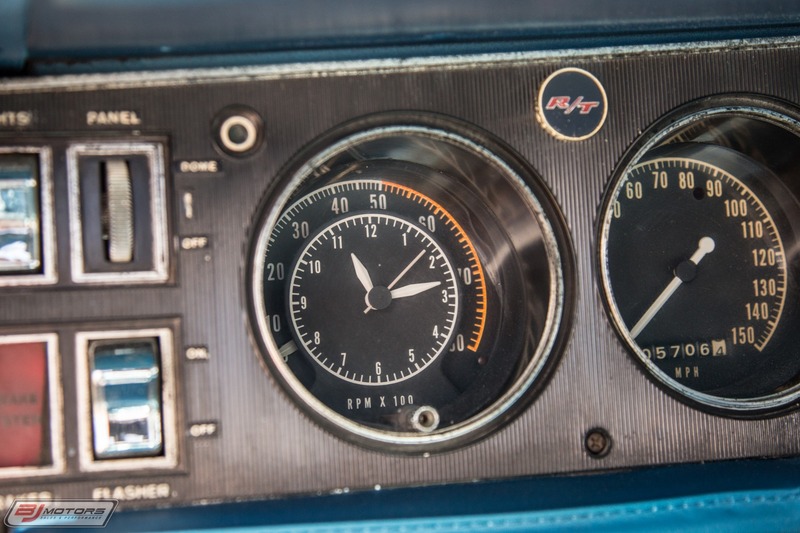 Options included air conditioning, power steering, power brakes, power disc brakes, power door locks, heavy duty differential, cruise control, tilt/telescope steering wheel, dual exhaust, AM radio, tachometer, mag wheel covers, styled road wheels and vinyl roof. 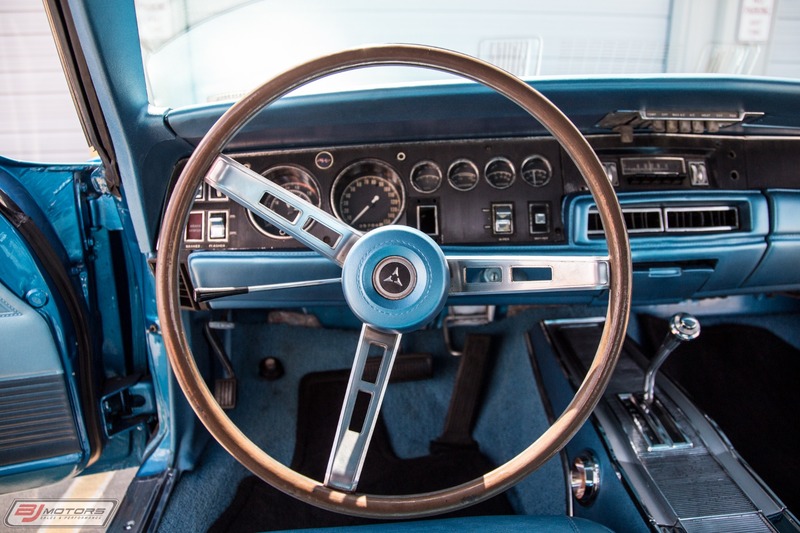 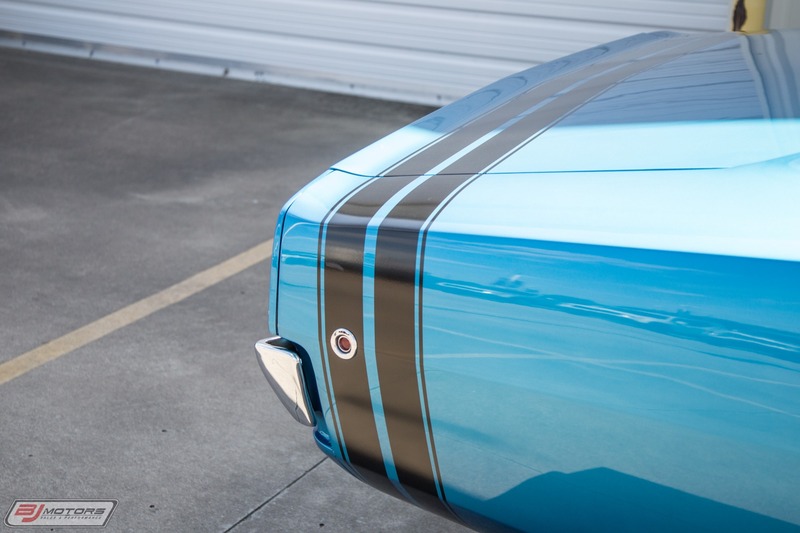 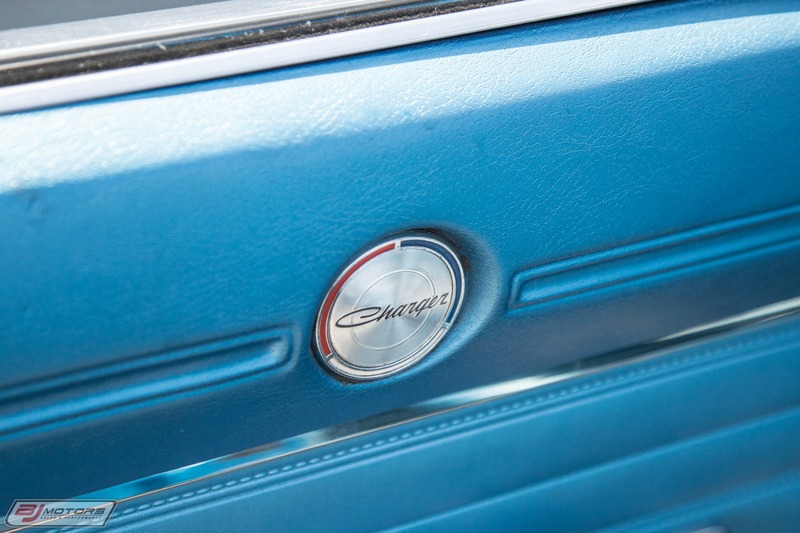 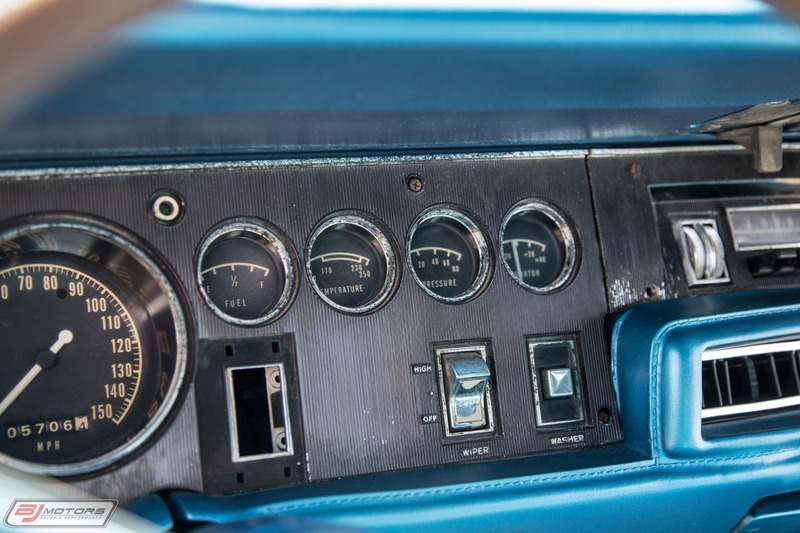 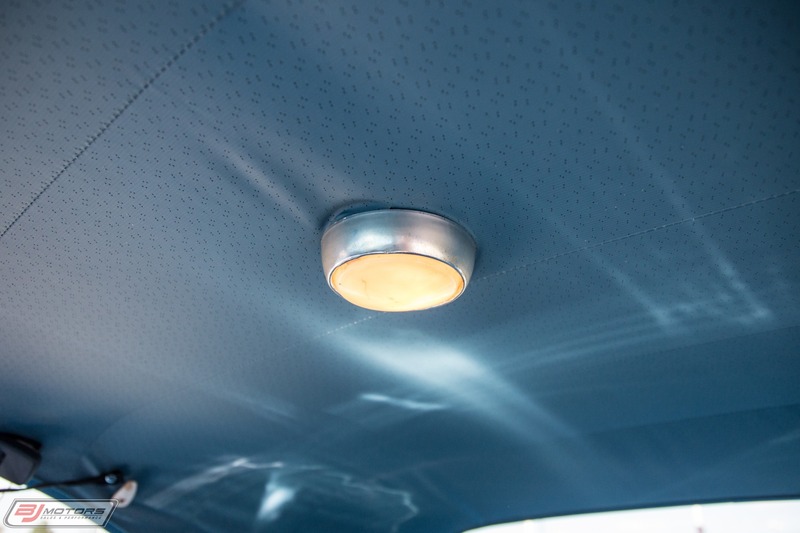 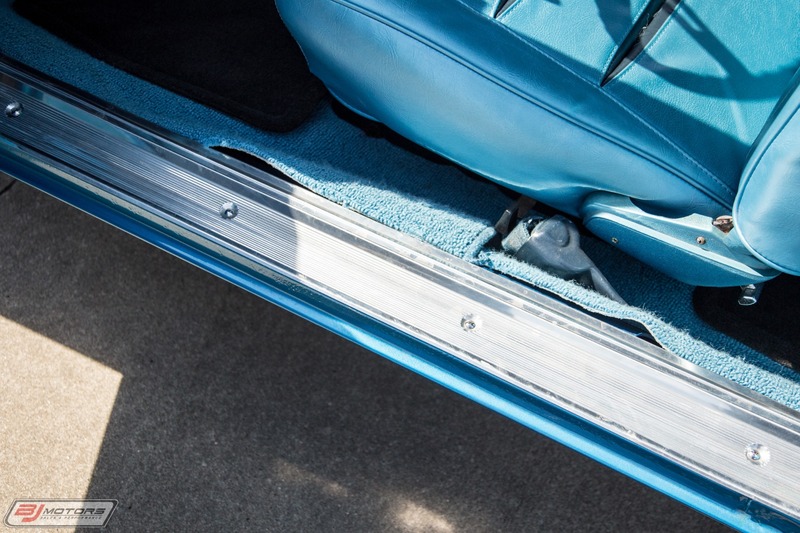 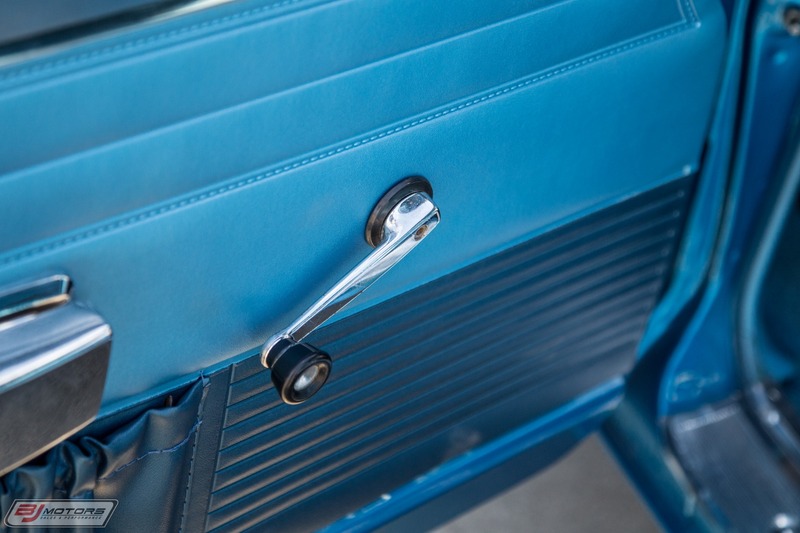 Dodge offered 23 exterior colors for the 1968 Charger, including Silver, Black, Medium Blue, Pale Blue, Dark Blue, Light Green, Racing Green, Light Gold, Medium Gold, Light Turquoise, Medium Dark Turquoise Bronze, Bright Red, Bright Blue, Burgundy, Yellow, Medium Green, Light Blue, White, Beige, Medium Tan, Charger Red, and Dark Green.